Gertrudis Barceló, New Mexico's celebrated gambler and demimonde of the 1830s and 1840s, was born at the turn of the nineteenth century in the Bavispe valley of east central Sonora, Mexico. Young Gertrudis, who would later achieve fame under the name "Tules," discovered how to manipulate men, reading their body language and analyzing their gambling habits. This power, coupled with a strong-willed and enterprising nature, led Doña Tules to her legendary role as a shrewd and notorious gambling queen and astute businesswoman. Her monte dealings and entertainment houses became legendary throughout the southern Rocky Mountain region. Her assistance to U.S. Army officers during the Mexican War brought her additional fame. Doña Tules's daring behavior attracted the attention and condemnation of many puritanical Anglo travelers along the Santa Fe Trail. 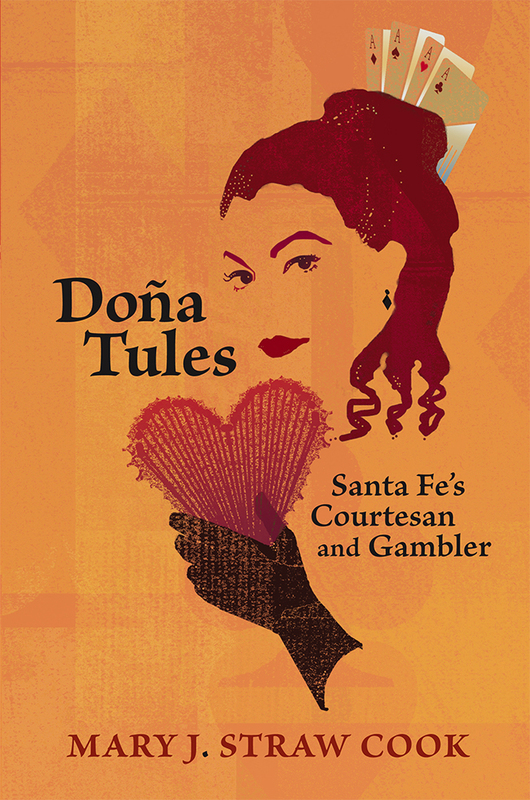 Demonized by later historians, Doña Tules has predominately been portrayed as little more than a caricature of an Old West madam and cardsharp, eluding serious historical study until now. Mary Cook sifts through the notoriety to illustrate the significant role Doña Tules played in New Mexico history at a time when the Spanish and Mexican eras were ending and the American era was about to begin. Mary J. Straw Cook is also the author of Immortal Summer: A Victorian Woman's Travels in the Southwest: The 1897 Letters and Photographs of Ameria Hollenback and Loretto: The Sisters and Their Santa Fe Chapel. She has lived in Santa Fe since 1939.